In 2010, Martin Brodin changed his musical direction and turned his path to the roots of the music he had always loved and admired. As a disco music aficionado, he felt it was time to dig deep into his extensive record collection from the early seventies to mid eightees and dust off the rare and collectible vinyls. After almost half a year of listening and getting inspired (again), he was ready to pay tribute to the disco scene and the subgenres it has spawned today. He started his label MB Disco in the fall of 2010 as an outlet for his music. The feedback from interested collaborators was instant, with releases and remixes from people such as Ilija Rudman, Ray Mang, Chicken Lips and Drop Out Orchestra. 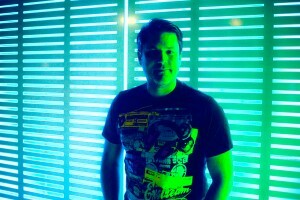 Following his unique vision, Martin put out updated versions of classics from the likes of Newcleus and Giorgio Moroder on MB Disco. If that wasn’t enough, even Leroy Burgess featured on another release. We can expect many more interesting collaborations in the future, from the label masterminded by Mr Brodin himself. Two proud moments back in 2011 was when he was asked to remix Sky of Human League, which was released on Wall Of Sound. Second one was the remix he did of legendary Giorgio Moroder and his classic The Chase from 1978. 2012 meant lots of attention for his work and the result came with releases/remixes for labels like Nang and Compost. He also worked hard on his debut album which will see it’s light in March 2013. Remixes of tracks from the album comes from some of the most respected names in the circuit of today such as, diskjokke, Bottin, Glimmers, Jacques Renault, Headman and Kasper Bjørke. Previous original release on Gomma, Mullett and MB Disco like Badabing, Cash Money and Blood Stud have been hammered by the likes of Aeroplane, The Glimmers, Tensnake and Erol Alkan just to name a few. Martin Brodin was the founder of Sweden’s deep-house label, Deeplay Music and its side branch Deeplay Soultec. His serious interest in music started during the early 1980’s, a decade in which he grooved to the sounds of Yello, Depeche Mode and Kraftwerk. In the early 1990’s, Martin once again found himself at the forefront of the emerging dance music scene. He became instantly hooked on this genre when he heard the Lil Louis club classic, “French Kiss.” His interest in disco music began when he heard Dr Love by First Choice. Buying and collecting records became Martin’s number one love and hobby for over 30 years. Nowadays he listens to all kind of music and this open-mindedness has enabled him to develop his unique “music-ear” and venture towards new musical boundaries. Martin is always open to new ideas and sounds, which is reflected in his talent as a DJ and producer. His deejay sets encompasses different styles and moods. He thinks of himself as an eclectic deejay, who is not afraid of experimenting with new sounds and musical ideas. Martin’s versatile sets have raised his profile internationally, leading him to spin at some of the most prestigious venues around the globe. Martin has played sets all over his native Sweden, Berlin for Loveparade, London (for Ben Watt), Dubai, Zurich, Kiev, Copenhagen and Tokyo, just to mention a few. He was part of the international deep house scene and his music was released on Buzzin Fly, Mood Music, Seamless and his own Deeplay branches. His first DJ mix compilation, released back in 2005, was reviewed in IDJ Magazine as compilation of the month. The reviewer said, “If you’ve been on the lookout for a smooth, melodic medley of deliciously deep, tech- tinged house music then grab a hold of this 5/5”. His music has been personally selected for compilations by stellar DJs, such as Claude VonStroke, Ben Watt, Carl Cox and Nick Warren.